Valtra updates it’s N, T, and S series tractors above 130 kW to stage V emission standards during 2019. At the same time several added features will be introduced such as improving operator comfort and enabling Isobus implements. Since January 2019 the T Series and S tractors are produced as stage V compliant versions. Production of stage five compliant N Series tractors will begin in spring time for N174 models and in the autumn for N134 and N154 models. The tractor models are powered by LFTN-D5 Agco Power engines featuring SCR technology. Thanks to hydraulic lash adjustment the engines not only run more smoothly, but they also require less maintenance. N and T series engines continue to be free of exhaust gas recirculation technology and on S series the level of EGR is kept below 15 %. This ensures that the engines run reliably and efficiently while reaching the legally required level of emission standards, explains the company. The design of the N, T, and S series stage V models has been adapted to accommodate for the larger after-treatment installations. Visibility from the cab, has also improved. On the S series access to the cab has been enhanced with better steps and the storage space for tools has been increased. The tractors now also include new color options and can be fitted with a secondary terminal that can serve as display for Isobus implements as well as for access to auto-guidance options. The models are also becoming “smarter” in 2019. 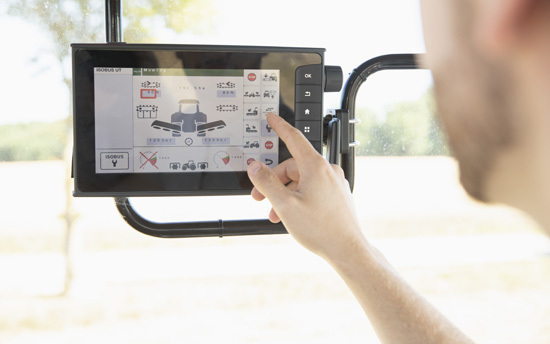 A second terminal is now available for Smarttouch models on N, T, and S. The terminal, which can be installed anywhere in the cab, can be used as a display for Isobus implements or to access an external camera. The same terminal with additional auto-guidance operation is now also available as an option for N and T series Active and Hitech models bringing smart farming also to these more basic models. “Valtra Smarttouch has been received incredibly well thanks to its intuitiveness. Already today we deliver 40 % of T Series machines with auto-guidance. We are committed to delivering easy-to-use precision farming solutions and services to farmers and contractors, helping them get more out of their machines and stay in control of operating costs”, commented Mikko Lehikoinen, Vice President Marketing Valtra. To allow customers to maximize the uptime of their machines the company also launches the “connect, care, & go” service offering which allows customers to access a range of machine services at pre-defined cost. The services include Valtra Connect telemetry, Valtra Care extended warranty for new machines, and the Valtra Go maintenance contract available for new and used machines.